I’ve really been blessed by Joyce Meyer’s ministry,but I don’t understand why these people feel as though they have to live like kings. Perhaps if I was in her position I would…but from my current perspective it just looks like greed. We know what the SBC did about these two gifted women. Stores sell what the SBC is peddling. There isn’t going to be change. Joyce Meyers, forever known as the golden toilet televangelist. So Beth Moore is the token female product pusher and cash cow for Lifeway. If Ms. Moore ever woke up and spoke up I’ve no doubt SBC-Lifeway leadership would bury her too. Both names are new to me, so I did some research. It’s all so sad, really; but thanks for posting that comment. I am still shaking my head over that estate! What would Jesus do with all that money I wonder? No…actually I don’t wonder! If you’ve ever done any of her studies, you’ll know just how inspired they are. They’re a huge blessing to many people. She’s humble about it all and refuses to take credit. She uses it as proof that God will use anyone, even the measly Political Science major (and she never claims to be anything she’s not). I understand that we have to be careful and can’t trust everything that’s published, but there is already enough hate, fear and condemnation in this world that I don’t think we need to encourage any more of it, especially within the Christian community. Let God be the judge and let the people use the discernment that is given to them by the Holy Spirit. Moore and Meyer are the ones that have to sleep with their consciences at night. Jesus calls us to be a light to the world, not to blend in with them. Thanks for your comment. You make a lot of good points here. I’m not saying that “only” having a political science degree excludes you from ministry. Next Sunday I will be preaching in a Toronto church and I’m thankful that nobody questions that I “only” have a degree in sociology and philosophy. It’s just astounding that in our present Evangelical climate that prizes education — a Masters degree in Theology or Divinity is now the minimum some pastoral church search committees will look at — that someone achieves that kind of platform without theological education, especially being incubated in a denomination that works hard — see Bene D.’s comment and Google the names mentioned — to keep women out of public ministry. This whole article isn’t really much along the lines of the stuff I normally write, but I thought the information should be out there. I’m more concerned about the money issues. Publishers can be very influential in the life of an author, but a good author’s agent will stand in the middle ground between the author’s heart and intent, and more capitalistic pursuits. Conversely, he or she may be the one trying to shake all the money out of the money tree. You just never know what’s going on in those conference room deals. If you write a book, Katie, and it’s got your name on it, you do have the right to call the shots. It’s your name and your reputation. There’s more to this than I included: Hardcover releases in the general market generally go through “conversion” to paperback after one year. That’s not happening here at all with either Moore or Meyer. More like 2-3 years. They’re just trying to maximize profit. I think, especially with the current financial woes in the U.S., that’s just plain wrong. I agree,we got people who are losing their jobs with the downturn in the economy.The sad part about this is it gives the secular media more ammunition to bang us Christians over the head with.When the secularist are greedy that is ok,the media goes into hiding,but when the Christian does this type of thing the Secularist will put it out there for every body to see.That is what they did to the PTL thing. Hi ~~ I just wouldn’t be so quick to judge. Satan wants to bring division to the church. Is there any proof that these really are her homes? Has anyone gone to visit there? We can’t just believe everything we see and hear. If you take a look at all that her ministry is doing and her budget, she needs alot of that money to support her work. Before anyone including myself, points a finger, we should check the logs in our own eyes and do some research. I believe that “Love believes the best,” too; but sometimes facts are facts. The newspaper that took and annotated the photograph is credible. All this mud slinging must hurt the heart of our Father God! Maybe we should spend the time and effort in spreading the gospel and sharing the love of God in us to all those hungry sould out there! There are so many people out there who are in need of this love. Bad mouthing any preacher is not going to turn people to God. It causes division and dissension – just what Satan wants to see happen. Be careful of the forum you use to be “spiritually” correct. On the day of judgement we will all have to account for our work on earth – Joyce and Beth included! Let’s hope out Father will say to us “Well done, my good and faithful servant!” Be blessed. I am very grateful for the people who do investigative research and provide us with a clear window into situations that I think the Christian public should know. I guess I don’t understand why it’s so ‘wrong’ for them to live like this? Are they supposed to live beneath their means? There is absolutely nothing wrong with these women, or any evangelist for that matter living ‘glamorously’ if they can afford it. And yes they can afford it because they are getting paid to teach and preach. There is absolutely nothing wrong with that either. In that case I’d have to assume you are writing from somewhere in North America, where Christians have lost all perspective on what constitutes “excess.” Trust me, you know it when you see it. I wrote her when i was homeless,they replied back with scriptures to recite everyday!other ministries said they dont help individuals only orgaizations.What will Jesus say at the great white throne judgemment? Try it again without caps lock, and I’ll print your comment. We don’t print shouts here. I do believe that your opinion of these women is biased. They are both teachers under whom I have studied. Joyce taught me, through biblical study, to be free in my mind of past offenses, and Beth taught me to live with the knowledge that I am an heir of the kingdom of God.I am a male,and I have learned more from these two women than from any male pastor in my 42 years. I do not begrudge anyone of their lifestyle. Joyce opens up the books of the ministry each and every year and they are above board. The major St. Louis newspaper named Joyce Meyer Ministries one of the best places to work. Nowhere in the Bible does it say that we are to be poor. We are to help the poor, and believe me, these two women surely do just that! I, too have heard some amazing sermons preached by women pastors and have enjoyed many a Christian book by a female author. That was never the issue here. I am sure that many people have gained much from Beth’s and Joyce’s teaching. But in my opinion, the information presented here is worth having on the internet, especially when you see the search engine criteria that brings people to what turns out to be the all-time top post on this blog. I also want to point out here that the written part of this blog post is two-thirds about Beth and only one-third (or less) about Joyce. But the pictures of Joyce’s residences do attract many page views here. How can you talk about the “speck in your brothers eye and you have a PLANK in yours”? Just because God allows televangelists and ministries to prosper does not mean they are greedy! God is NOT A Poor God. Where do people get off on thinking that Christians have to be POOR? Christ was NOT poor nor was the church. Christ teaches you how to live prosperous Kingdom of God living in all facets of your life here on earth but “you” MUST first seek yea the kingdom of God and all his righteous and all these things shall be added unto you. Foremost, renew your mind and I can tell you majority of individuals mind sets in this world are too busy placing judgment on Gods anointed ones because people do not understand Kingdom Prosperity is not only for the preachers but for the people who are followers of God. Why is it okay for the world in entertainment, service etc… to prosper and they give nothing to the people. The people have to pay for the service renders. But evangelists get a bad rap because people think they should be suffering and scrapping the barrel. These evangelists feed your souls, while the world injects you with their poison. The evangelist help you raise a higher quality of life and establish a true relationship with the Creator of all ABBA the Father and Yeshua the Christ including the Holy Spirit. While the world robs you in taxes, morale, and destroys your belief in Christ. Note: A prospering Evangelist has NOTHING to do with stealing your, because it is not their MONEY it belongs to GOD. And they do much for many hurting people; it is the people of this world especially the media that tries to create lies about these successful Evangelist! IF YOU ARE GOING TO BE UPSET ABOUT GOD TAKING CARE OF HIS ANOINTED ONES REMEMBER, IN PSALM 1:2-3 (But his delight is the Law of the LORD… And whatsoever he doeth shall prosper) that came straight from God! So do you not think God will take care of his people aka servants like Kings and Queens. AGAIN GOD IS NOT POOR. God desires to do the same for you but you are too busy playing into Satan’s condemning ways against Gods servants! WAKE UP! So if you yourself learn to really listen to God’s word stop focusing on the lies of the media and STOP JUDGING, for it is written in Matt 7:1 “Judge Not that , Yea be not Judged “! Then YOU TOO can learn to prosper naturally and spiritually. The world can’t teach you how to serve God but it only can render itself on teaching you how to draw away from God. The world works on destroying your mind and focuses on getting you to doubt God/Jesus Christ all together, Hummm ??? Who does that sound like people wake up SATAN HATES YOU!!!! And you are falling for his lies especially about the Gods Anointed people. Be about Gods business and I guarantee you he will prosper you. CAUTION! God says, 1Chronicles 16:22″Do not touch My anointed ones, And (L) do My prophets no harm.” SO before you talk ill or try to say something negative about Gods anointed ones, I WARN you refrain your tongue ask God for wisdom to understand what is and what is Not! The world is Satan’s playing ground and unfortunately many Christians and non believers fall prey to his deception to destroy your faith in God! Remember if things are not going right in your life ask yourself what prophet or anointed one of God have you been speaking ill of? Again, God said, “Do not touch My anointed ones, And (L) do My prophets no harm”. He will defend and his people. Take it up with GOD almighty if you have a problem with his servant. For God said, in all thy ways acknowledge him and he will direct your paths (Proverbs 3:6). I WILL CAUTION YOU IMMEDIATELY, look at your own life. Jesus said, he will know his people by the fruit they bare, so if you are being slander, judgment, hatred etc… You are not baring Gods fruit but that of the Devil! Just because the Media says these ministries prosper and do nothing for others, I will ask you? Can you truly say they do not? Have you worked in their ministry to truly say they haven’t helped the poor? Think about it, how many people in your life have lied about you? You had to defended yourself, and no matter how much you defended yourself, they still lied saying your being deceptive! But you yourself knew that what was being said about you was a lie. Just because they lied on you, did it make what they said about you true? Even though their truth was a lie! So why are you doing this to Preachers, Evangelist Gods anointed ones? You could have spiritual and natural prosperity from God if you truly surrender your mind, heart and tongue to God. And if you say you have truly surrendered then you would not be destroying Gods “Anointed ones,” the preachers, televangelist, with your tongue. the Devil is hate = Slander! Here’s a couple of things to consider. 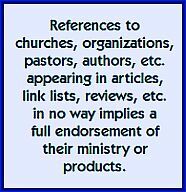 Look around at what’s being written today and you’ll see that both individually and corporately the church seems to do better at pure ministry when it lacks material assets. Anything to do with wealth — whether it has arrived or is simply being sought — distracts people from their spiritual priorities. There’s also a wisdom in pastoral ministry that the pastor should live in a home that reflects the median average house value of his church’s members. That isn’t the case here, as the photographic evidence in Joyce’s case makes really clear. This isn’t a reflection of her orthodoxy, or her sincerity, or anything else; it’s just a statement of fact. And it would be true if we looked at photos of any number of megachurch pastors or televangelists. These pictures just happened to be circulating at the time. I don’t hate Joyce or Beth or anyone else. You are the one who should be careful what you say, because the rhetoric in your comment is far more inflammatory than anything in the actual blog post. And who is being slandered? What you’re saying is that the photograph is a lie and the real estate appraisal of what’s in the photograph is a lie. Can you prove this? Finally, I dare you to go into the third world and preach “kingdom prosperity.” Seriously. Go over there and look at people who earn $2 a day and eat a single daily meal and tell them that God wants them to prosper materially. Look them straight in the eye and tell them that this is an essential that is lacking in their attempt to be a Christ follower. What utter, utter nonsense! The “name it and claim it” or “health and wealth” doctrine is doing more damage to the Kingdom of God than anything. Joyce hit the nail on the head the other day. She spoke of the early days of her ministry when they couldn’t afford to say in a hotel. She and her husband would pull over into a parking lot and sleep for a few hours. They had to use a calculator at the grocery store as to not go over the amount of money they had to spend. Would you people say that a CEO of a large company should live like the median salary of their workers? It is jealousy pure and simple. No where does it say in the Bible that Christians are to be poor. Rock on Joyce. You have taught me more than anyone else. And now you accuse me of jealousy? Do you know me? Do you have the right to speak into someone’s life like that when you don’t know them? No, I don’t want Joyce’s house or the responsibility that goes with it. I have learned to be content in whatever state (or province) I am. I wouldn’t want to own it and and I wouldn’t want to be an overnight guest. And I am sure that David and Joyce had their “salad days.” That is part of the common experience of most in ministry, with the exception of certain Bible college students who think they walk out of their last class and into a $55,000/year youth ministry position; which, sadly, some of them do. But please consider for a minute that I didn’t make up the admonition to pastors as to what kind of housing they should seek. (That they should have the median or average salary of their parishioners.) That is fairly standard pastoral wisdom. And many pastors — Greg Boyd comes to mind — have deliberately downsized so they can live in something more closely resembling that of their parishioners. But you are missing the point, which is disclosure and freedom of information. You equate the situation to a CEO and their workers. You are smart enough to see that is a totally different case, right? This is about a ministry leader and their financial supporters. Donors who simply do not know the information contained here and would be broken hearted to think they are sending Joyce their last $5.00 when, in the bigger scheme of things, she doesn’t need it and they could be giving it to something in their local community where the raw need is greater. You’re also misreading it just by using the term CEO. Yes, Jesus appointed leaders — Peter, James and John formed an inner circle among the disciples; we know Peter was a ‘lead’ student of Rabbi Jesus — but the CEO terminology suggests something far too corporate, and, dare I say it, far too American. 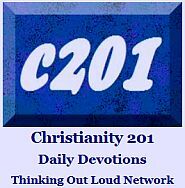 We are called to be co-laborers or what the old KJV called “fellow workmen” together. In Christian ministry, there really should not be a CEO mentality at all. The term should not exist in our vocabulary. And there definitely should not be a superstar mentality. I can promise you that when you face the point in life where you need someone to put their arm around your shoulder, Joyce will not be there. Yes, you enjoy her teaching, and learn from it, and that’s good in its place; but it’s not part of the normal interaction that should exist between spiritual mentor and student. Simply put, you can’t put up your hand and ask a question, and you’ll never be able to. Ever. …If you really, truly and honestly believe that there’s nothing wrong with the big house with the five bathrooms and the eight-car, air-conditioned garage; then may I suggest to you that you belong to a type of Christianity which would leave first-century Christians totally and absolutely perplexed. Really is a shame. 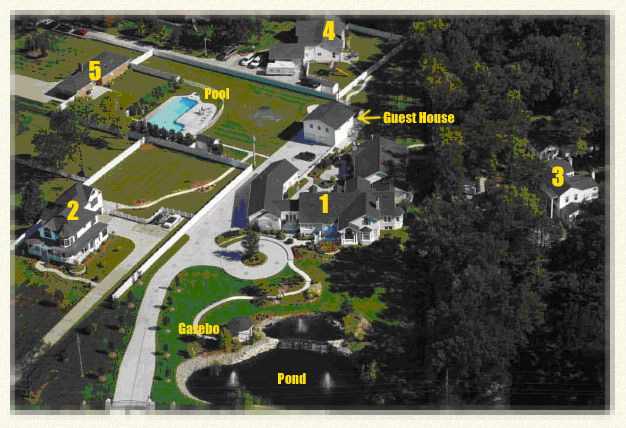 Yes, Joyce has the house and estate. Her kids pay their part and she pays her part and the part she paid came out of her earnings. The newspaper this was in retracted and corrected their story after it initially posted. There is nothing wrong in getting paid for your work, she has given away far more than she made. They never go into debt. I’ve seen her people and herself give when nothing was expected in return. It is sad that you are so tarnished and skeptical you cannot see the gift of GD. How bad it is that we see bad as good and good as bad. We do have leaders in our faith, and their should be CEO- that is what Jesus did on earth. He led and served which is His model of leadership CEO style. As to housing like their people, don’t you think success business people are in the world too. It is all in how you look at it. GD does not limit what we can do and if he puts people in leadership. Many successful business people help those who cannot help themselves and I don’t think it is necessary to pull the ” poor” card for them to have integrity. It is all in what they do with it. Personally, Jesus didn’t have a ‘degree” so trying to make that a point is senseless. You are trying to argue two sides of an argument depending on the subject. It takes money to get a college education, yet once you are educated and make a living you are supposed to give it all away and not show people how to do success right. I see much more snobbery in this writing and judgmental attitude than I’ve ever seen in these women’s teachings. Cynicism. We are co laborers in Christ, but we are all different parts of the body. So Yes some people are the part that lead and using the CEO terminology only means what is says…Chief executive officer aka the leader. Nothing wrong with that term and nothing wrong with being American. Do you really think GD gives us talents to hide. Do you really think he doesn’t want believers in places of authority (and influence). By your theory then no people who go to church live in big houses or people in big houses don’t need Christ. My GDs influence is limitless, we are just not to make our things our god, but having things does not make it a god in our lives, unless we let it control us. Realistically though He trusts us with more as we are shown worthy. So according to you no christian should have a big house because we cannot control that area of our life. If you can send me the link to the retraction using the contact page on this blog, I’ll note the retraction in the main body of the article. Wow! I simply was pointing out that I support her and do not think that she has done anything wrong. YOU, are the one who has an accusatory tone. I will bring myself down to your level to go point by point. Let me say this though, her ministry always opens up the books for scrutiny. It seems as though you need to learn to talk to other Christians with love and respect. I guess when you are presented with your mansion in Heaven you will say, “No, thanks, that’s not biblical. I’m sorry. I was just finishing replying to the comment that precedes yours at 12:18 and then yours came through at 12:50; all of which is rather odd for a post that’s been parked here since January of this year. However, you are correct in that Joyce Meyer Ministries was one of two to cooperate fully with the U.S. senate investigation, and was able to retain its tax exempt status. That establishes that everything they are doing is legal. Is that sufficient, or is God calling us to something greater? “If someone asks you to carry their load for a mile, go two miles.” Is that not a suggestion that our commitment to ethical excellence should exceed the law? I don’t know. I think people have to work out these things for themselves. Great privilege does invoke great responsibility, but I do know that Joyce Meyer Ministries gives away many resources each year to people who can’t afford them. Ultimately, she and I have to answer to God, not to each other. Still, my heart aches that the present situation in our “organized” church is the way it is. Most of this post was concerned with Beth Moore; and it was the in-passing comment at the beginning about both of them insisting on releasing their books in hardcover despite a faltering economy that got me started down this road. The truth is I never went looking for the pictures of her house, but having found them, felt that the information needs to be on record within the Christian blogosphere where believers can actually see it and make their own decisions from there. Does God want us to be poor? I think that’s the wrong question. People who are living in poverty; people who have nothing at all; these people seem to have a closer walk with God than many in the affluent parts of the world like western Europe and North America. God wants us to be close to Him. He wants to see us moving toward the cross. And sometimes that may involve taking a few steps backwards in terms of socio-economic status. It may involve giving it all away. I’m sorry if the defensiveness I was feeling in getting these two comments within a few minutes of each other came through; but I do believe there are many areas where our Western interpretation of Christianity has clouded our vision. I do wonder what those early Church members would think of where we’ve taken things? Well of course she makes more money than everyone else it’s called JOYCE MEYER MINISTRY. Without her there would be no Joyce Meyer Ministry! Wow, I can’t believe people here are bashing the post. It’s a simple concept that this is portraying. Let me give you a scenario. I’m asking YOU for your hard earned-limited money so I can promote the work of God say like, going to a third world country to help out some folks and buy food to take over there, plus to maintain the food supply to adequately feed them…and lets add to the cause of building an orphanage in ,,Capetown, Africa. I do that right? I do what’s promised and I can show proof. However, if I’m living in a 20million dollar mansion and/or driving around in a flashy expensive 7 digit car and/or flying around in my G6-I guess the real question is do I need your money which could go towards a more needing facilitator? I’m going to be a dentist and all I can think about is what can I do more? Not what can I get more of? With me, the question is how many more mouths could I feed rather than living a lavish lifestyle on this temporary earth? Which matters more to God? The acres I own or the acres I sacrificed to own? Doesn’t God say all these things will pass away? So why the need to own beyond what is necessary? I’m not bashing anyone just stating facts and what posses a threat to what we are really called to do (be Gods hands and feet to the least of these)? If I wasn’t a Christian I would dismiss all the good works that these people have done by the base of the $$$$ materialistic things they posses. These things use to be important to me till I went on a mission trip. Changed my whole life and where I wanted a Lamborghini-big house – fancy car – maid service – everything that MY money could buy, I would rather build a church and orphanage somewhere or do something that helps someone. You fill in the blank… They said this trip will mess up your life and it did, but in a GOOD way. And the comment about turning down your mansion in Heaven is totally absurd and uneducated. We are conversing about storing up treasures here on earth not in heaven. I use to believe in the whole famous “Kingdom Prosperity” until God changed my heart. Why are you giving? To get something back? So, on the pretenses of “if” – but only if I get something back I will give. That’s the only reason why you give? Your heart is in the wrong place. Did Jesus die (give) his life in the expectancy of (getting) your life in return? Nope, it was by choice. He knew he would be denied by many, but still GAVE his life without the need to “GET”. We are to be Christ “like” so that means to give without the expectancy of a return. Ryan, thanks so much for writing. I am new to christianity and got a strange look from my small group leader when I mentioned a book my mom gave me “The Confident Woman,” by Joyce Meyer. I really liked the book and found it to be inspiring. 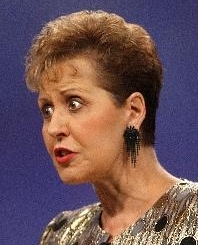 So I was very perplexed when I got the feeling at bible study today that Joyce Meyer wasn’t teaching out the bible. So I began to look around the internet to see how the presbyterian church viewed Joyce Meyer. I read several blogs and landed here. I had no idea that she was akin to Benny Hin,etc. It makes me feel deceived. She’s just another Oprah. So, do think there is anyone on TV that is worth watching? Or should I just turn the TV off and read? Kalynne, thanks for your comment. You raise a lot of issues in just a few short sentences, so I’ll do my best. First of all, your mom gave you the book, so read it and enjoy it. The people at your church don’t agree with her theology perhaps, but then if you ask them for the authors that they recommend, they may be authors your mother doesn’t like! Truth be told, I had a Presbyterian minister once tell me there is nothing in Christian bookstores that is reflective of Presbyterian spirituality. So don’t sweat this, too much. I think “deceived” overstates it. Benny Hinn raises a number of issues in terms of lifestyle, credibility, and theology. With Joyce, you are on somewhat safer ground in terms of overall credibility and theology. So again, enjoy the book. We started a video Bible Study with Joyce Meyer in September, in my staff devotions. I was sceptical at first (and I have to admit that it was almost entirely because of this blog). Being discerning IS important, because “the devil prowls around like a roaring lion, looking for someone to devour” (1 Peter 5:8), and he will try to deceive us from every angle. Don’t believe everything you hear, always keep your Bible beside you, and spend time discussing it with God. As it turns out, the Joyce Meyer study (Overcoming Wilderness Mentalities) was really good. I didn’t enjoy every second of listening to her voice or her anecdotes, but the main teachings and ideas are excellent. Focus on the Bible. Focus on getting to know Jesus. Focus on getting things out of the Bible study that will help your walk with God. Beth Moore is one of my favourite Bible Study teachers. She’s real, she’s relevant, and she’s fun to listen to. Don’t let cynical people tell you that one teacher is right or wrong without looking into it yourself, and praying about it. I would have missed out on an excellent study by Joyce if I had decided that I didn’t want to hear her…when in the end, it was God wanting to tell ME things through her. No one teacher is perfect, except Jesus Himself. And His Word will ALWAYS accomplish everything He wants it to. I think Katie’s comments are dead on and this morning I wrote a really heartfelt reply in response to hers that unfortunately got sucked into the great WordPress comment vacuum. There’s no way I can re-create it now! If I were among a group of friends and it was determined that we were going to do a Joyce Meyer or Beth Moore study, I would not boycott the event or simply not show up. I would kick back and enjoy the study. There are some things covered in the main article that I think are worthy of record, and occasionally this blog takes on a kind of investigative nature and brings some things to light which might otherwise not be known. I stand by the original decision to publish the article nearly a year ago for a variety of reasons. But Katie is right. The promise of Isaiah 55:11 is still true. No matter where you are, what kind of church you’re in, what kind of person is doing the teaching; once you immerse yourself within the pages of scripture you’re in safe territory. This was never about specific teachings or doctrinal views. Also, your willingness to investigate the preacher/teacher you are reading/listening-to is a very commendable quality that will keep you from wandering spiritually. 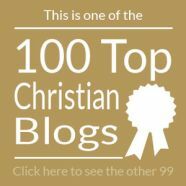 I hope you’ll take some time to visit the rest of the blog; and if you’re looking for more solid blog material; click the at the upper right for Christianity 201. I’m really bothered that you would think this is worth writing. The only main reason anyone would think to tear down a fellow believer is out of jelousy. We don’t need to ask the questions on education. Remember Jesus gathered a group of fishermen to be his desipels. God never cares about our education. He just wants us to go out there and gather saints. Thankfully these two women have been obedient to our Father and have been blessed. Why tear those down who build others up? No one is being “torn down” here. No one is denying either Bible teacher the right to write books, produce curriculum or hold seminars and conferences. All this is a “go public” article providing just some very small bits of information about two very influential, high-profile female Bible teachers. The point is to answer the question, “Who exactly is teaching the women in your church?” Plain and simple. Just like it says. If you were a regular reader here, you would very quickly withdraw the accusation of “jealousy.” You don’t know me, and frankly, you really ought to take that back. And I agree that education doesn’t matter as much as some think it should. As a lay-person who does some teaching and preaching, I am very thankful for the opportunities that come my way without having an MDiv or an MTh degree. I do however think that when you start writing and teaching on an international scale, that your students should know the basics of your bio. But even the size of your platform should not necessarily be limited by education. But Candy, I gotta let you in on a little secret. Do you know why this particular article is the number one blog post here most weeks? Do you want to know why people keep reading and commenting on this piece even though it’s now over a year old? The search term that most frequently brings people here is not “Joyce Meyer” or “Beth Moore.” It’s “Joyce Meyer house.” People have heard the stories and know the pictures are out there somewhere. And they want to see it for themselves. What they do with that information is entirely up to them. Look a persecuted Christian in China, or Haiti, or a third-world country directly in the eye and say that. I dare you. And I’m willing to bet you’re writing from the United States. That’s the only place in the world where that vision of Christianity it propagated.